Postcards for Throwback Thursday – 1946! 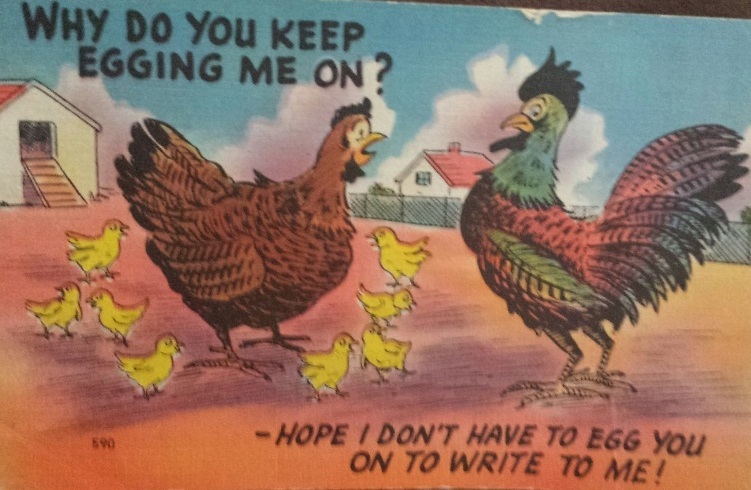 This is a postcard from my Uncle Louis (grandmother’s brother) to my grand parents. like colored pencil. What a treasure to find at my dad’s house! There are benefits to being a Junkman. ~ Have a blessed day! Categories: Daddy and me, Happy Thursday, Humor, Just Like it! | Permalink.